Super High Stuff. Aggressive, in your face, and long lasting. Same. See you on Sunday? tingjunkie wrote: Same. See you on Sunday? We have a party Sunday? 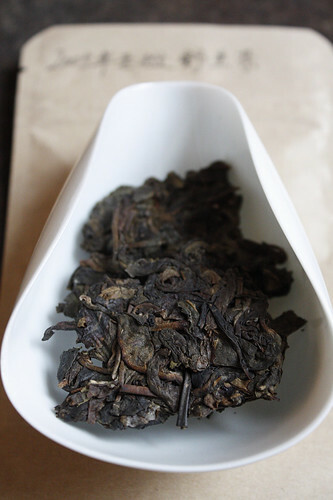 But the YS 2010 Ya Nuo is incredibly aggressive and energizing to me. Last edited by bagua7 on Nov 17th 13 1:02 am, edited 1 time in total. I'm enjoying a private label Bulang today that (as seems typical) really packs a lot of energy. I haven't eaten anything either, so the experience has been pretty potent... quite enjoyable! c'on...give, who is that private labeller and what is it doing in your paws? shah82 wrote: c'on...give, who is that private labeller and what is it doing in your paws? I can answer that one, though I appreciate Drax's discretion. I sent him the tea from Seoul. It was entirely hand processed and stone pressed by a man named Yang Ui Hwa. Please pardon any mistakes in the transliteration. He is Chinese, but his name was transliterated into Korean, and from there I switched it to English. As I understand it, his brother runs the Nanjian Phoenix Factory. It's a 2011 raw, and it is, as Drax mentioned, very strong. It mellows down pretty quickly though, and it leaves a really nice, sweet aftertaste. 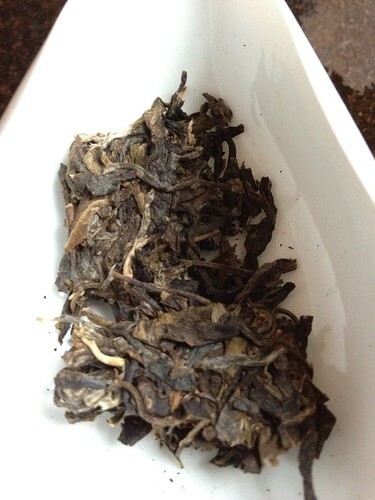 I normally don't drink young sheng, but this tea is one of the few exceptions. Pretty sure wild trees, big leaves, old trees, and all that jazz. I've read some dissenting opinions that argue that all that noise is just marketing. The jury is still out on this end though (I need to drink a LOT more tea before I have an opinion one way or the other). Either way, I love this tea! I'll double check details tomorrow when I swing by the shop. 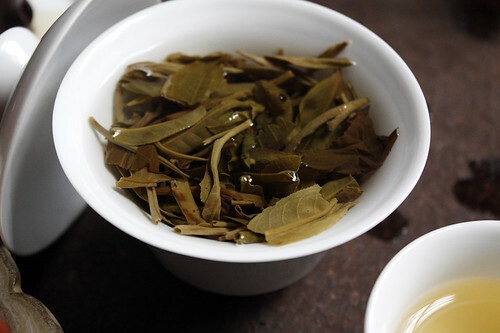 Interesting thought: someone told me that one theory for why Bulang Mountain produces such strong teas is because it is so windy that the trees grow stronger leaves! I don't really get the botany behind it, but then again I never do; but I like the thought nonetheless! 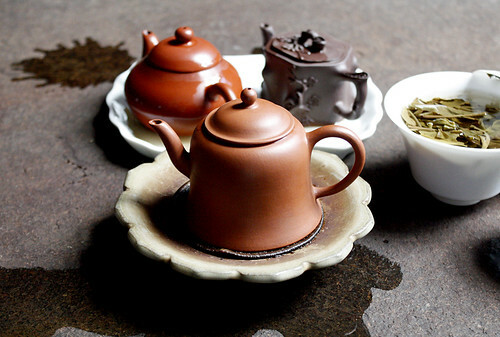 Certain areas of Yunnan have a very rich and minerally soil. 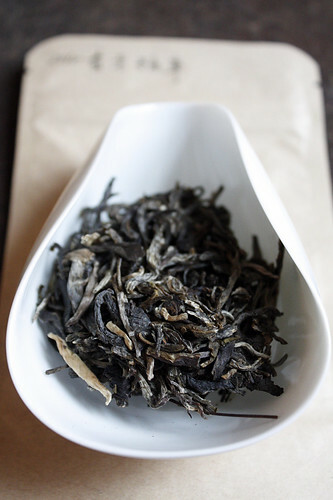 It's generally the varietal (or general seedling character) + soil that makes the potent tea. Mengwang district Man Nuo or Bang Dong Xigui has mostly trees younger than 300 years, so far as I'm able to make out. Doesn't mean that they lack potency... I think much of the old tree phenomenon is simply that the people back then knew the best plots for tea groves. shah82 wrote: Certain areas of Yunnan have a very rich and minerally soil. It's generally the varietal (or general seedling character) + soil that makes the potent tea. Mengwang district Man Nuo or Bang Dong Xigui has mostly trees younger than 300 years, so far as I'm able to make out. Doesn't mean that they lack potency... I think much of the old tree phenomenon is simply that the people back then knew the best plots for tea groves. That's a reasonable argument. I think the romanticism of the 'lone 9,000 year old tree on a cliff, which requires a 5 day journey from the nearest village' stories tend to overshadow a lot of the science, which has to do a fair amount with soil composition. Not sure if anyone here has grown peppers before (hot peppers of any variety, jalapenos, serranos, habaneros, etc.) but two different soil compositions will produce two drastically different peppers, in terms of heat. That was where I am drawing my very unscientific comparison. But, there are so many factors in plant growth, it is tough to pin anything down to one variable. They are all the same price, 2011 400g cakes, but the Yellow Label came with a higher recommendation. The green label and the Nanjian label are the same price. My understanding is that the artisan (master?) who made this tea is the brother of the guy that runs the Nanjian factory, so he produced a bunch under the Nanjian banner. I'm a big fan of Banzhang as well. I'm currently drinking through a lb of it I got from someone who's family lives in the region - one 'grandpa cup with three leaves in it for all day' at a time. Powerful Qi, heighten awareness of body and nature. Outstanding craftsmanship. Can you please give us a romanization of 陈韵 易武刮风寨原始森林 ? Google traduction gives me : CHEN Yun Yi Wu windy the Walled original forest.